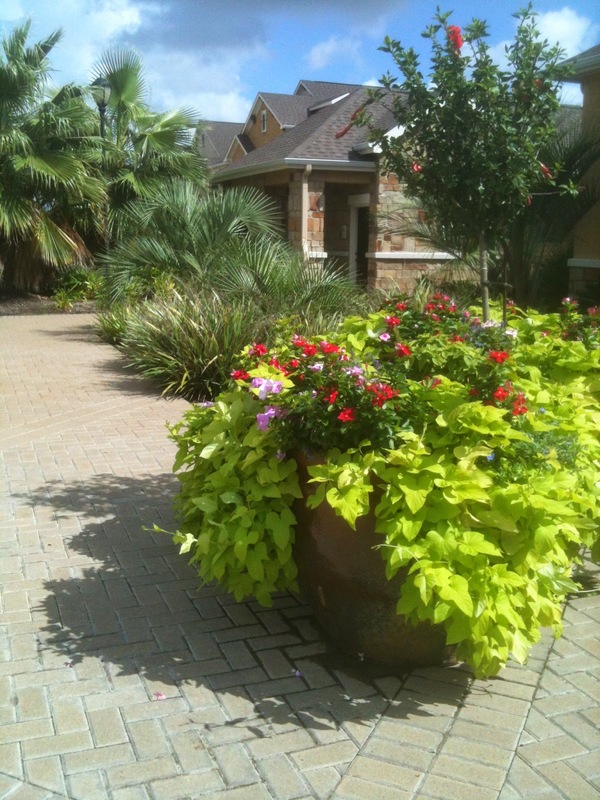 The “Business Landscape for September” was nominated by a League City Garden Club member. 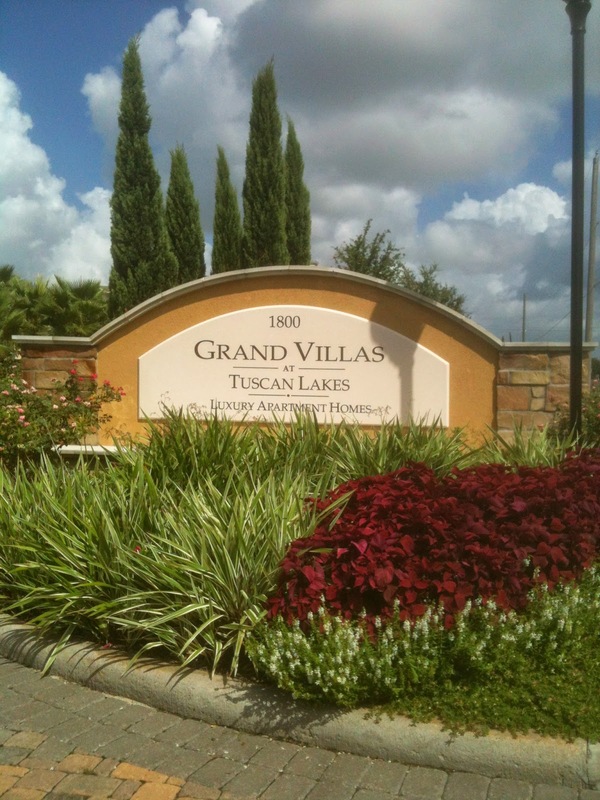 The Grand Villas at 1800 Hwy 270 are 3-year-old luxury apartment homes. The property is part of Tuscan Village development; the Property Manager is Lavondra Connally and Frank Williams is the Maintenance Supervisor. pond where wildlife and open spaces extend the visual living space. Amenities include boat parking, garages, car care area, picnic area, gym and club room. The pool, cabanas and bar-b-que are inviting and lushly planted with large potted plants. Grand Villas have been selected as the BLOM to kick off the new garden club year. Congratulations to them and the staff at Grand Villas. Our 2014-2015 programs kick off September 10th!